Regular grooming is an essential part of a dog’s health and also provides a source for bonding, training, calming and pleasure. There are many health benefits to grooming beyond dragging a brush though your dog’s fur a few times a month. Grooming is an essential part of proper health care for your pup. All dogs require a regular grooming program, and for good reasons. That being said, there are breeds (and dogs of certain mixed heritage) that require more intense grooming than others. Any dog parent who has swept bundles of fur from the floor, vacuumed the car after a puppy outing, or found she can’t live without a lint brush as an essential tool appreciates the value of the low-maintenance “minimal grooming” needs of certain breeds over others. An important element of understanding the commitment of dog caretaking is consideration of grooming requirements. 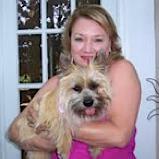 Dog breed groups offer recommendations and emphasize the amount of grooming necessary to keep specific breeds healthy. If you are planning to add a dog to your family that is grooming-simple, you may consider one of these labor-friendly models. Commonly referred to as a wiener dog or hot dog, the name dachshund is translated from German and actually means “badger dog.” If you are looking for a low-maintenance family dog, a Dachshund may be the right choice. Bear in mind, not all Dachshunds are not created equal. 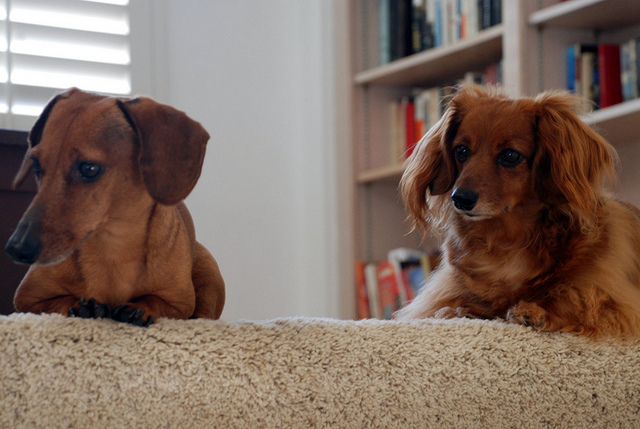 If the easy breezy care of a dog’s coat and skin is your goal, the smooth-coated Dachshund is a good choice. The world’s fastest couch potato is a great pick for dog lovers seeking an easy care companion. Adult greyhounds weigh 60-75 pounds and require little coat grooming and bathing. They have no undercoats, shed minimally, and breeder recommendations suggest brushing with a firm bristle brush to condition and remove dry skin. When necessary, a Greyhound may be bathed with a dry shampoo. This breed was developed in the stables of Boston and is considered a true All-American Dog. Boston Terriers reach a full adult weight of 10 to 25 pounds. The smooth, short coat of this small dog requires occasional brushing to minimize shedding and to condition the skin. Breeders recommend bathing only when necessary, but the dog’s face and eyes should be washed daily with a damp washcloth. This elegant, hearty breed requires little grooming of the coat. The adult Pharaoh hound weighs 45 to 55 pounds. Breeder recommendations include brushing the smooth coat with a rubber brush to condition and remove dead skin and to minimize shedding. This medium-sized breed reaches an adult weight of 15 to 20 pounds. The smooth coat should be bathed or dry shampooed when necessary. 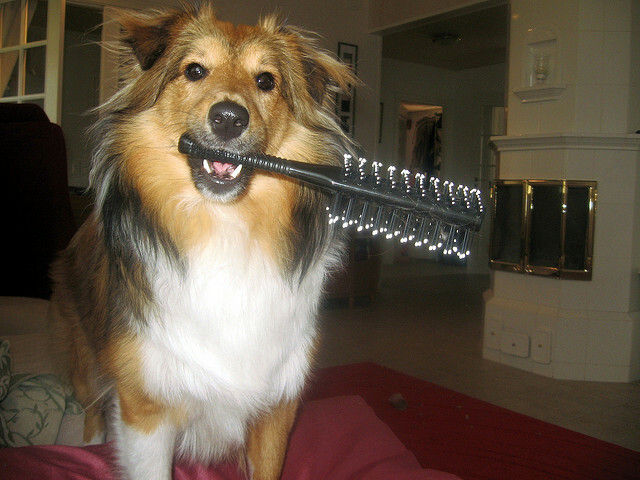 Regular brushing with a firm bristle brush is recommended to reduce shedding. Among the larger breeds with minimal grooming requirements is the Rhodesian ridgeback, whose adult weight reaches 80 to 90 pounds. This magnificent dog is a minimal shedder and should be brushed to condition the skin and coat. The Rhodesian ridgeback requires bathing only when necessary. Just don’t try to push the crest of hair growing in the opposite direction on the spine down; the “ridge” is this breed’s claim to fame! Lucky for the caretaker, this muscle-bound breed is also an easy keeper. An adult Rottweiler can weigh 95 to 130 pounds. The smooth, glossy coat is a breed standard, and the Rottweiler requires brushing with a firm bristle brush and bathing only when necessary. This short list of dog breeds that require minimal grooming was determined primarily by the requirements of the coat. All dogs should be groomed regularly. With practice, grooming will become an anticipated and enjoyable experience for the caretaker and the pet. It provides a source for bonding, training, calming and pleasure. Check out our breed profiles and grooming articles to learn more. Also, see Petful’s top recommended brushes, shedding blades and grooming mitts.